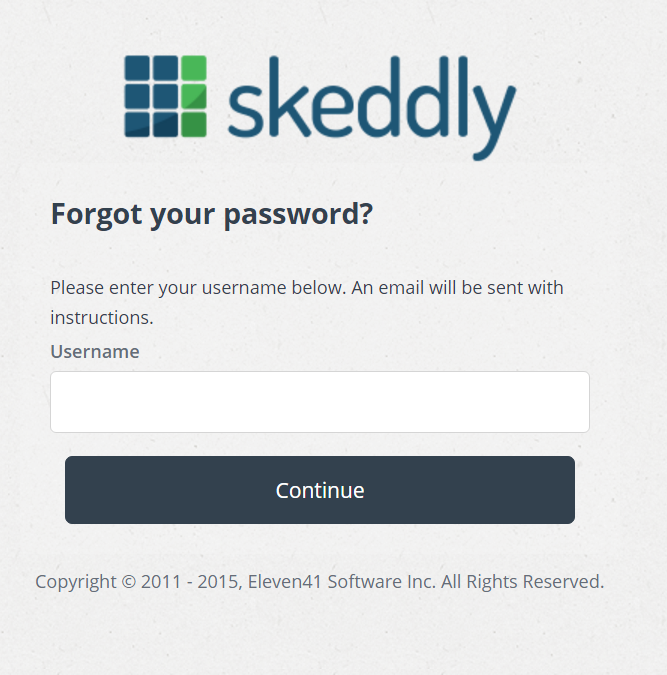 If you have forgotten your password and cannot log in to your Skeddly account, you can reset your password to a new one. 1. Click "Forgot your password?" under the main Login page. 2. On the page that follows, enter the username for your Skeddly account. 3. Click "Continue". An email will be sent to the email address associated with your Skeddly account with instructions on creating a new password. Please note that for security purposes, we do not disclose whether the username submitted is associated with any Skeddly account. Verify the username is correct. If necessary, use the "Forgot your username?" 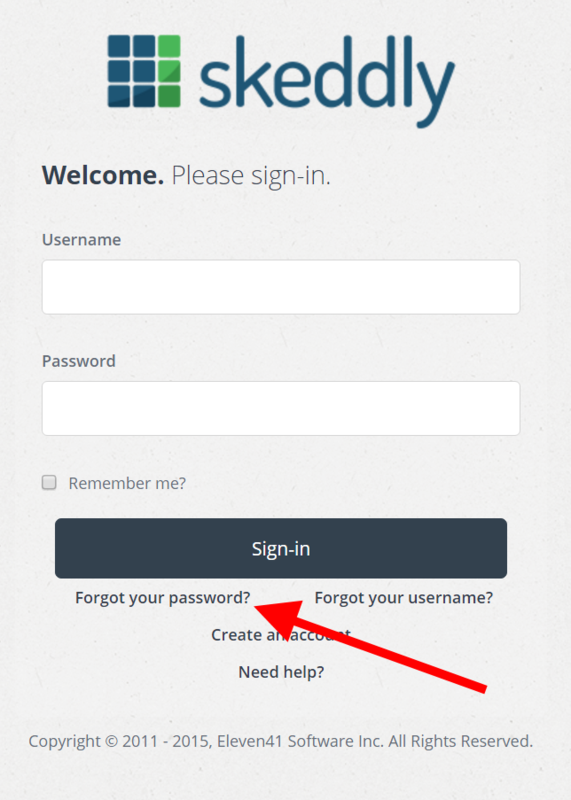 option to recover your username.